In 2016, me and my friend Carley started an independent craft collective in Leeds to showcase and support the craft scene in the North and beyond. We hosted our first Northern Craft Fair in October 2016, with 33 makers and a whole lot of hard work we pulled in a huge crowd of over 1,000 visitors. We have hosted regular fairs since to great acclaim and also run a popular Print Fair. In the Summer of 2017 we had our first art exhibition at a popular brewery in Leeds. We commissioned 25 enamel pins by our favourite artists, designers, crafters, and makers. We asked our artists to produce a pin inspired by the north of England or their creative process. 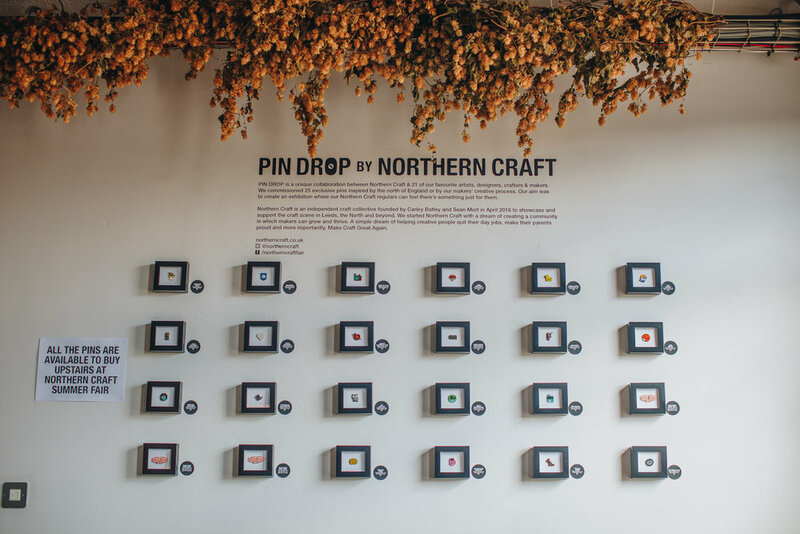 Our aim was to create an exhibition where our Northern Craft regulars can feel there’s something just for them. We also host a regular social, part of our mission is to bring makers out of their spare rooms and to create a strong community of creative people. 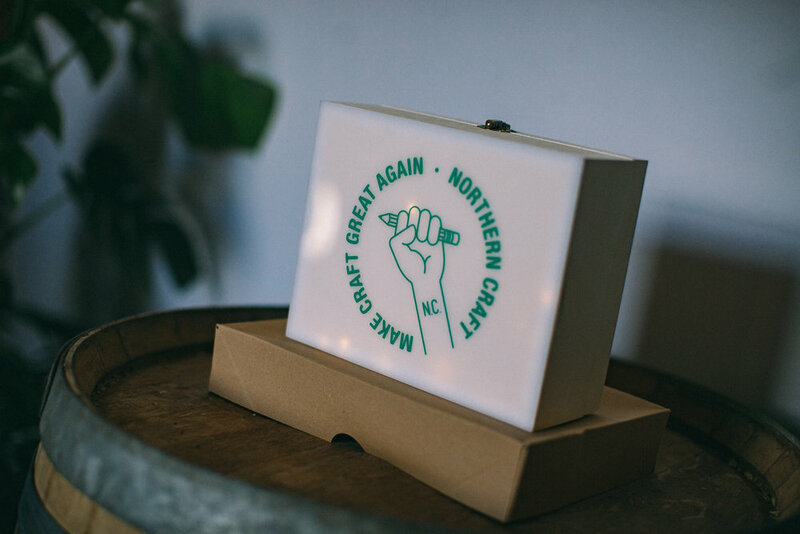 We have ambitious ideas for Northern Craft, including larger, more diverse fairs, workshops, and more exhibitions. For more information about Northern Craft click here.